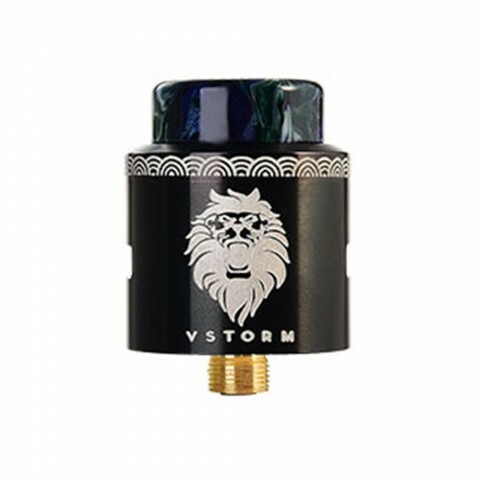 Vapor Storm Lion RDA, a rebuildable tank which you can imagine it is appearance from the name. It is an elegant and exquisite tank with vivid Lion logo on the chuff cap. It is also a 22mm diameter dual coil building atomizer with three stages air levels and postless gold plated build deck, enable to bring you endless clouds and best flavor! 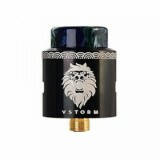 Vapor Storm Lion RDA, a rebuildable tank which you can imagine it is appearance from the name. 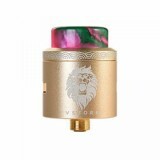 It is an elegant and exquisite tank with vivid Lion logo on the chuff cap. It is also a 22mm diameter dual coil building atomizer with three stages air levels and postless gold plated build deck, enable to bring you endless clouds and best flavor! 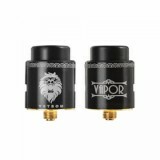 Besides, it features adjustable side airflow design together with 810 drip tip. Get this Lion RDA to enjoy vaping!